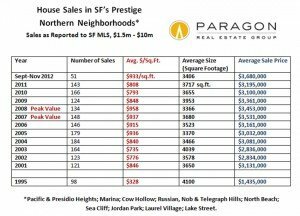 In November, the vast majority of San Francisco homes that sold, sold very quickly without any price reduction, at an average sales price 4% above the list price: That is a strong, hot market. 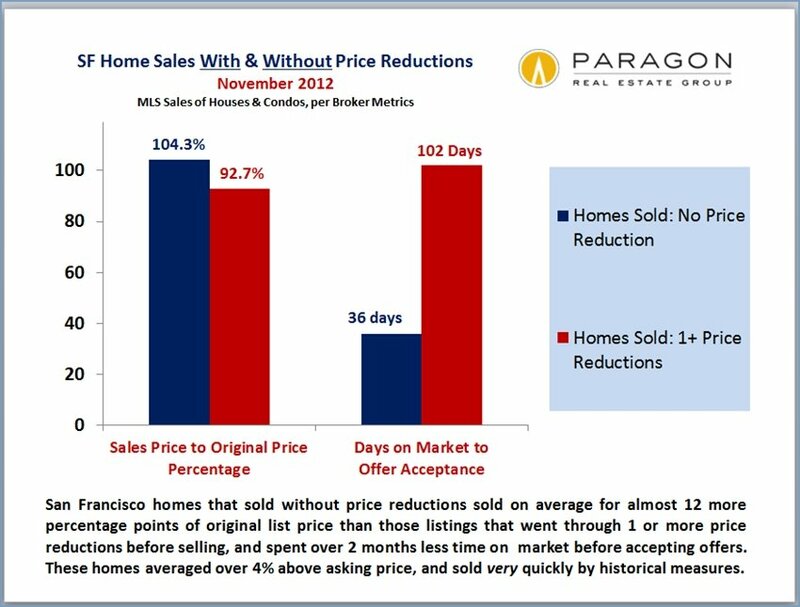 Properties that had to go through price reductions took over 2 months longer to accept offers and sold at a significant discount to original list price. And even in a hot market, there are listings that do not sell at all, but expire or are withdrawn from the market: Many of these will ultimately be relisted at lower prices and eventually sold. 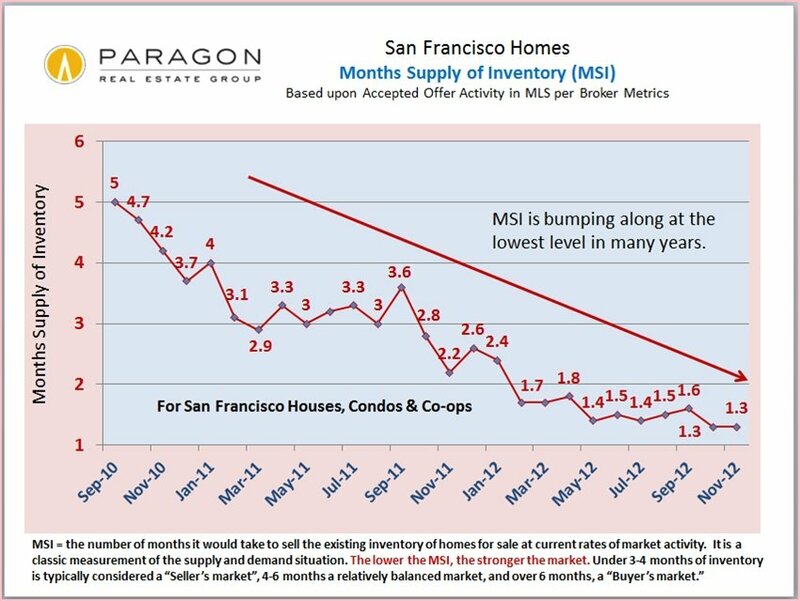 After the inventory spike in September from the large influx of new listings, in October and November the number of new listings (the first chart below) and the total number of homes for sale (second chart below) are markedly declining and will almost certainly continue to do so until early 2013. 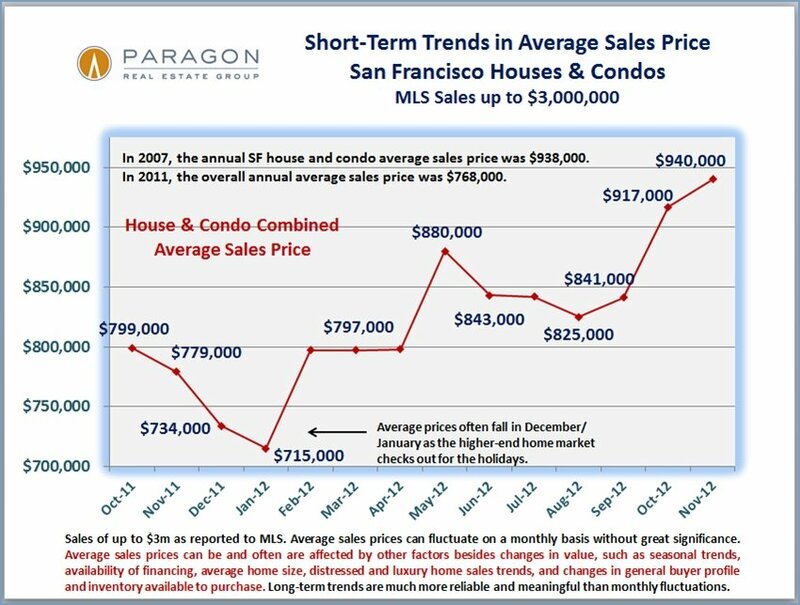 The statistic used on this chart boils down the supply and demand dynamics into a single statistic. 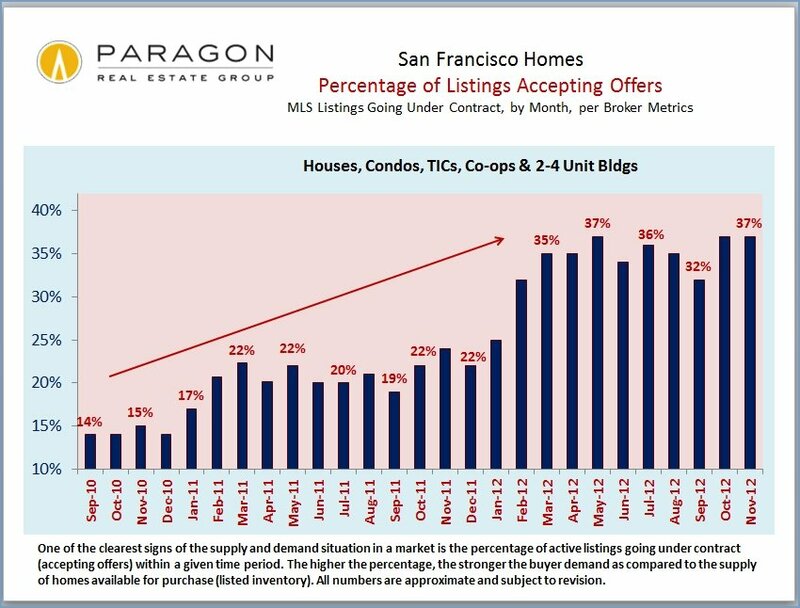 The percentage of listings accepting offers in October and November was probably about as high as it has ever been, far above the level of previous years. The decline seen in September was the result of a large influx of new listings hitting the market in mid-month – these were snapped up at the same fast rate, but many didn’t accept offers until October, after a reasonable marketing and showing period. 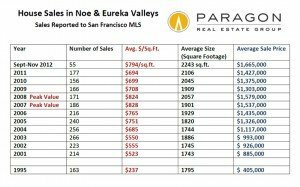 The general market dynamics in November were little changed from October, so for a different perspective, below are long-term trends in average sales prices and average dollar-per-square-foot values in a variety of areas around the city. 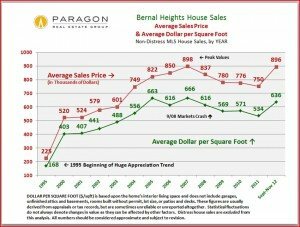 The last sales period assessed on the charts is made up of the three months September through November; the neighborhoods chosen were picked for their high volume of sales for the property type being tracked — generally speaking, the greater the volume of sales, the more reliable the statistics. 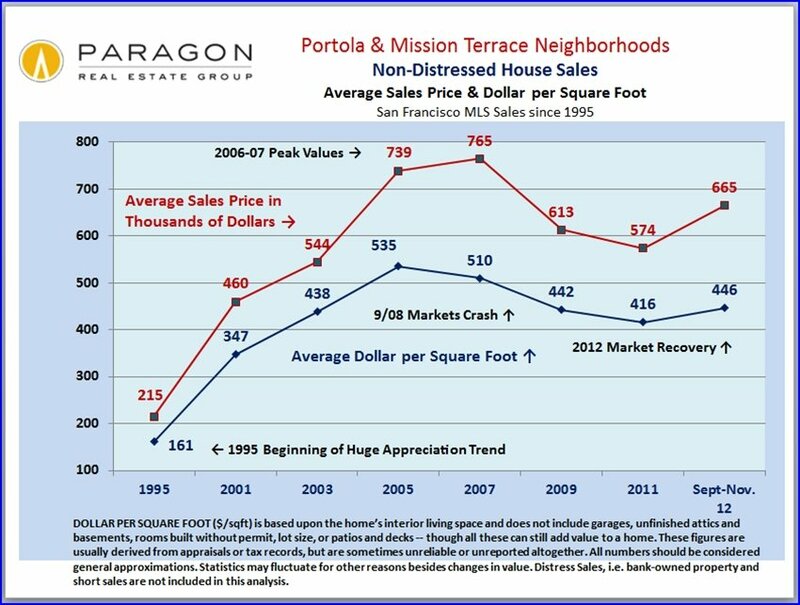 Pretty much all areas of San Francisco are now showing the same general trend line, a distinct and substantial recovery in values, though some neighborhoods began their recovery earlier in the year and have seen greater increases year to date. 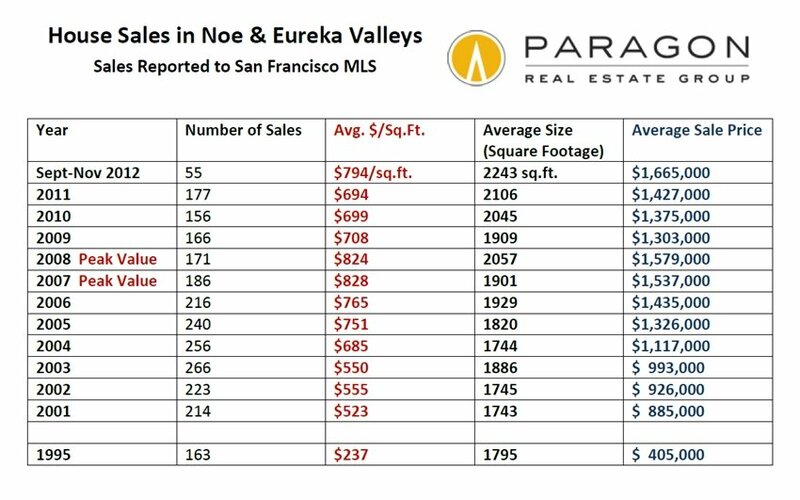 House sales here over the past three months had an average sales price of $1,186,000 at an average of $575 per square foot. Compared to 2011, those figures reflect a 13% to 14% increase. 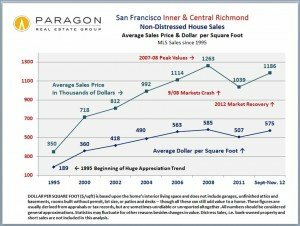 This table shows the changes in average sales price and dollar per square foot since 1995. 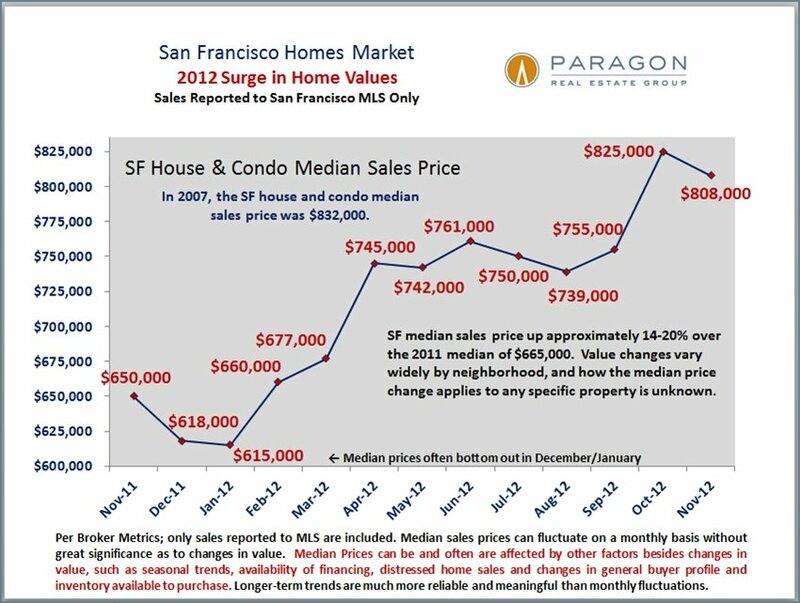 One can also see that the average size of the houses sold can fluctuate (which will affect the average sales price). 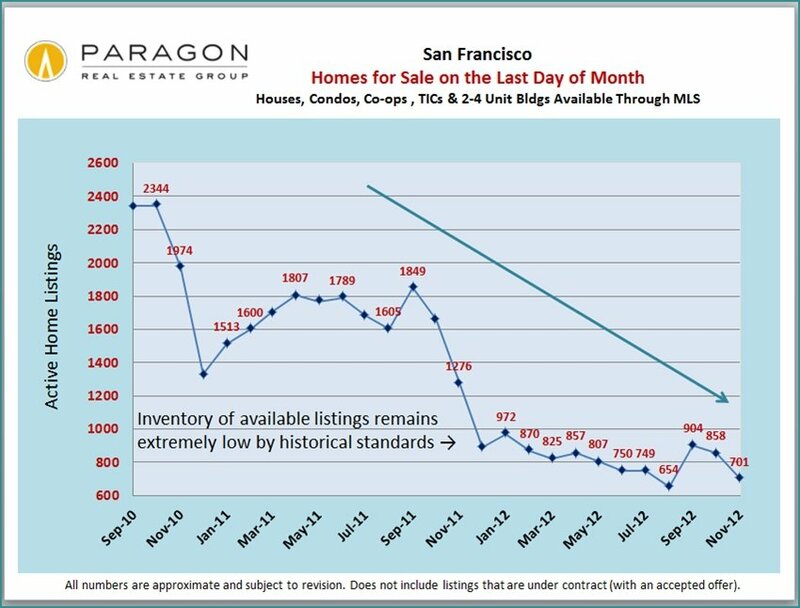 Distressed home sales are in rapid decline here, as they are throughout the city. The average dollar per square foot is up about 9% since 2011. 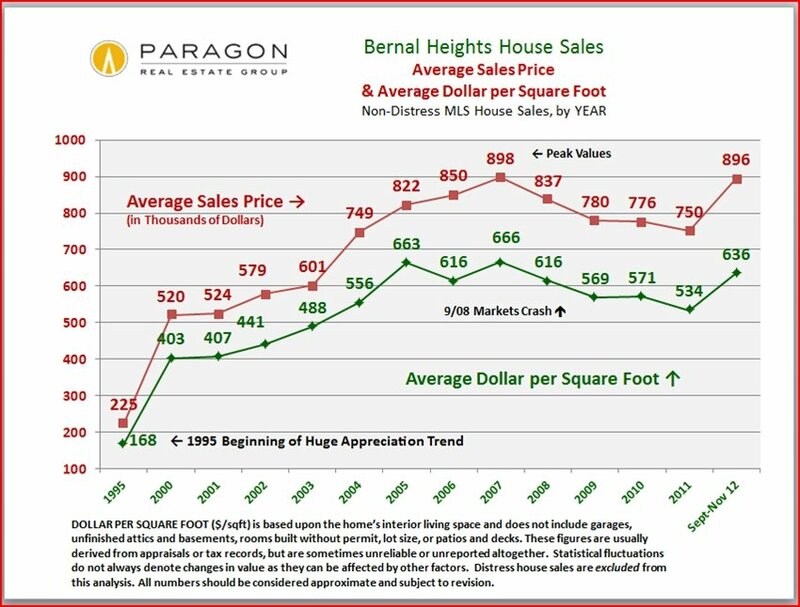 With an average sales price of $896,000 and a distressed home market that has basically disappeared, the Bernal Heights averages are up about 19% from the bottom of the market in 2011. And getting very close to the previous peak in values in 2007. 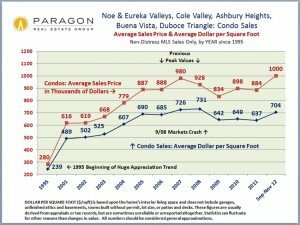 Average house sales price in this extremely hot market area was $1,665,000 in the past 3 months, which is actually higher than previous peak values in 2008. However, we’ll have to wait to see what occurs over the longer trend since seasonality is one of the factors in prices. 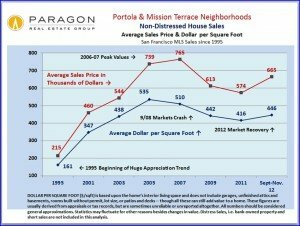 Average dollar per square foot is still somewhat below the 2008 peak. 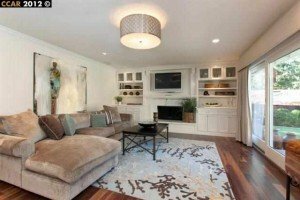 Condo values in these highly sought after Upper-Market neighborhoods have followed a similar trajectory. 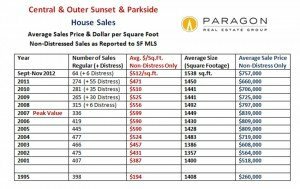 The average condo sales price here over the past 3 months was $1,000,000. 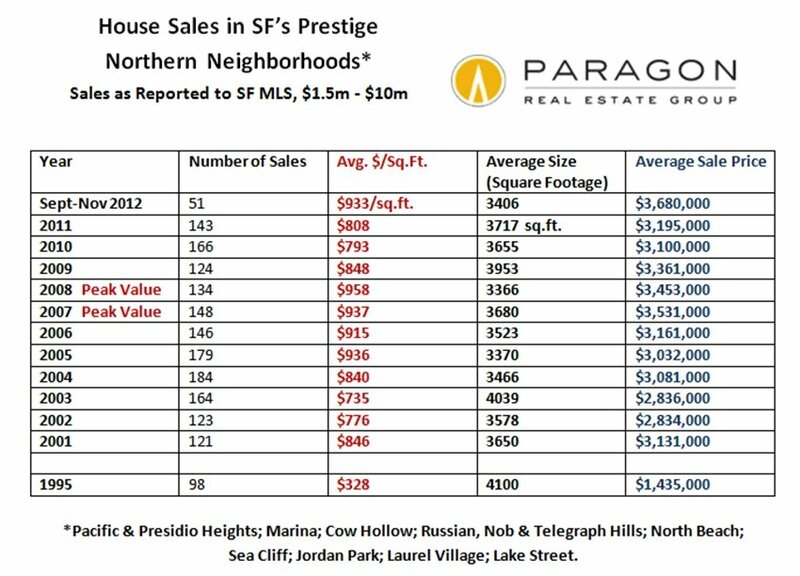 The most expensive area for houses in San Francisco is in the northern band of old-prestige neighborhoods running from Telegraph Hill in the east to Sea Cliff in the west. 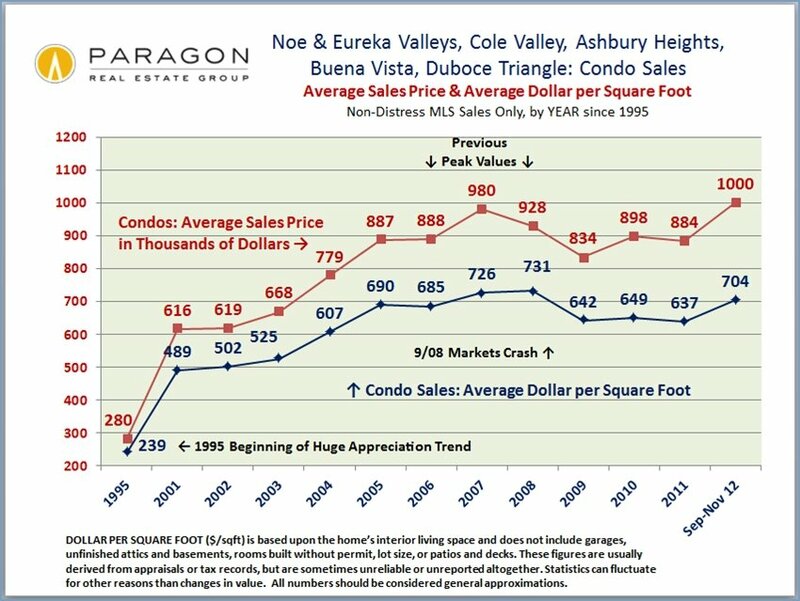 As the luxury market has rebounded in a big way in 2012, we’ve seen increases in value in the 18% to 20% range since the market bottom in 2010. 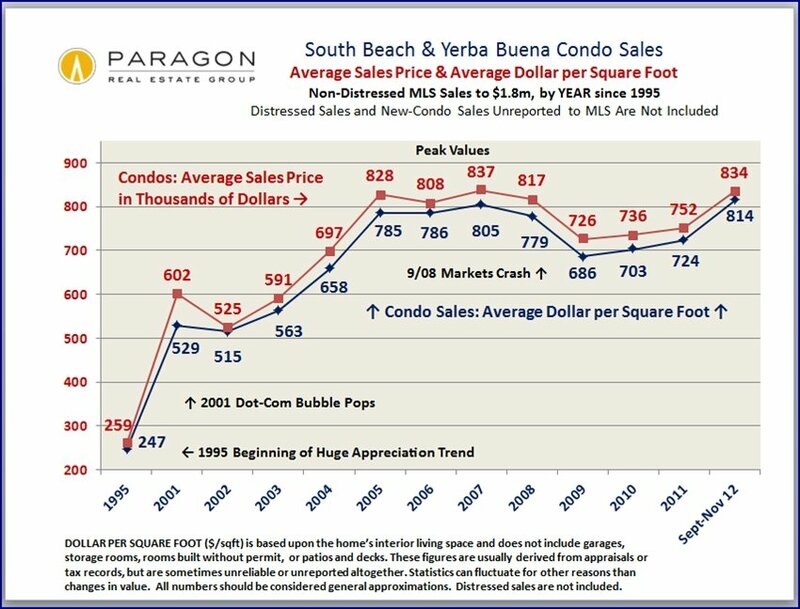 The greater South Beach area has seen a rebound in condo values in the 15% to 20% range. 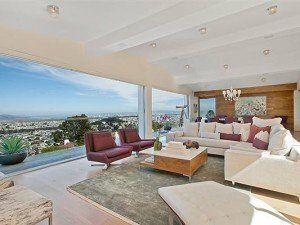 This area has some of the most expensive condos in the city, many featuring spectacular views. 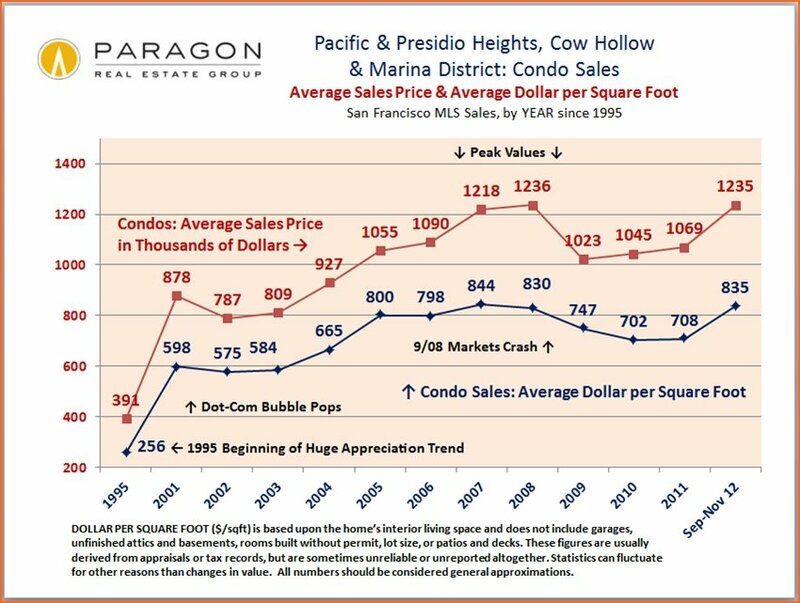 At $1,235,000, the average condo sales price in the neighborhoods of Pacific & Presidio Heights, Cow Hollow and the Marina is now back up to the previous peak-value level of 2008. 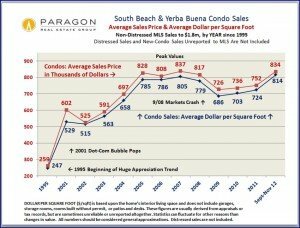 While the condos in South Beach have all been built in the last 15 years or so, condos in these older prestige neighborhoods are in buildings typically built 70 – 100 years ago. 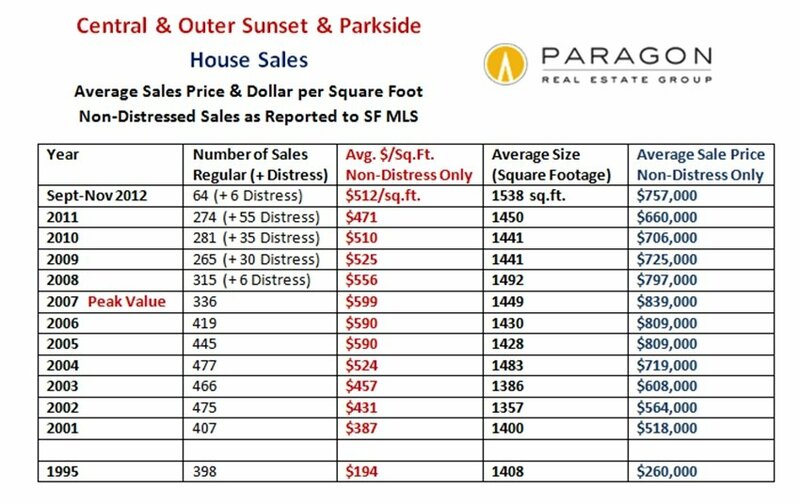 The southern-most neighborhoods of San Francisco were those hit hardest by the distressed sale crisis. 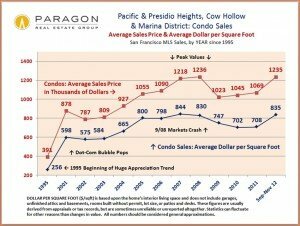 But the distressed property market is rapidly dwindling here and prices have been rebounding dramatically in the past 6 months. 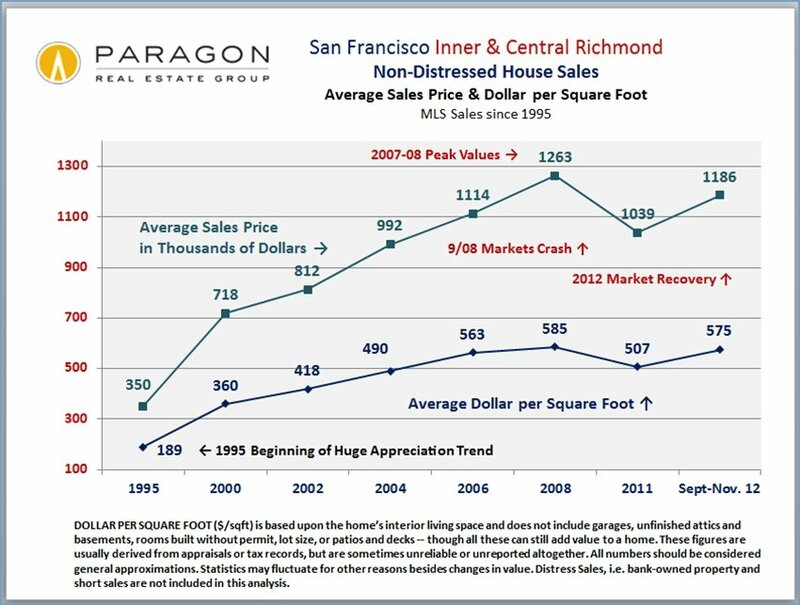 The recovery here started a step behind the recoveries in the most affluent neighborhoods, but is now accelerating rapidly.